Feather and Flutter flags from The Flag Company are second to none! We use the highest quailty material to ensure that your message always looks great! 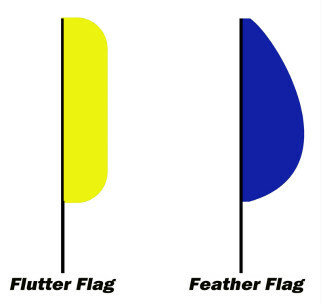 Feather and Flutter Flags are very visable because of the movement they create from the wind. Our wide range of color selections and digital imaging capabilites make your design options endless!